The release of the UFS memory card is here. They come after microSD cards for removable storage. 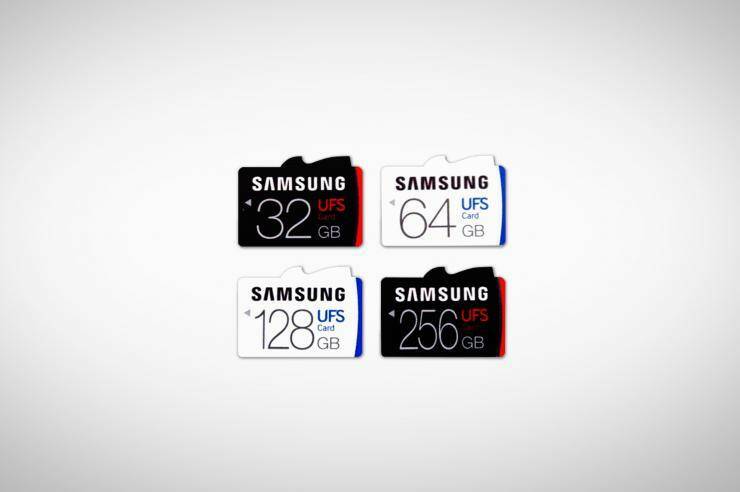 Samsung Electronics has just unveiled the industry’s first Universal Flash Storage (UFS) memory card that is designed to greatly improve user experiences, especially in high-resolution 3D gaming and high-resolution movie playback. The company announced the world’s first removable UFS (Universal Flash Storage) memory cards, offering storage capacity of either 32, 64, 128, or 256 gigabytes, and performance speeds that simply blow older formats out of the water. The UFS cards have sequential read speeds of up to 530 megabytes per second – five times faster than the best microSD cards. That means reading a 5 gigabyte, full HD movie in roughly 10 seconds, says Samsung, compared to a UHS-1 microSD card which manages the same feat in around 50 seconds. Samsung says all this power is necessary to keep up with the abundance of high-resolution footage being generated by devices from smartphones to action cams, drones to 360-degree cameras. But while the new UFS standard has appeared as embeddedmemory in a few devices (notably Samsung’s own Galaxy S6 and S6 Edge), there are no products that yet support the cards as removable storage. We wonder if this is going to become a feature in new phones? And while the design of the cards looks similar from the front, as you can see from the photo above, the pin configuration on the back is non-compatible. Price and availability have also yet to be announced for the range, so while UFS might be the cleartechnological successor to formats used in microSD cards, the roadmap for how it actually gets into consumers’ hands is less clear.